Root, root, root for the home team! 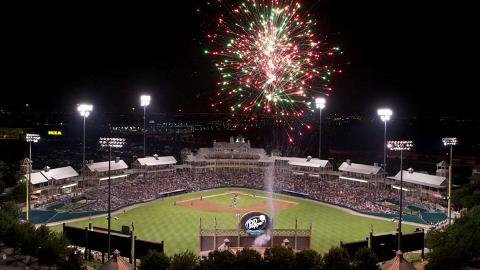 The Frisco RoughRiders’ 2013 season home opener is in just a few short weeks—Thursday, April 11, to be exact—and we’re counting down the top three reasons why you just have to be there! #3: The home opener just happens to be on a “Dr Pepper Thursday,” when you can purchase a Dr Pepper at the game for just $1! #2: A fireworks show will follow the game, kicking off the season in true festive style! #1: The RoughRiders have led all AA teams in attendance for the past eight seasons, so they need YOU to be there to cheer them on to victory vs. the Arkansas Travelers! Single game tickets for the 2013 RoughRiders season go on sale March 23. Click here to purchase.